If you’ve ever suffered from a migraine headache, then you know how debilitating they can be. It’s estimated that over 30 million people in the U.S. suffer from the pulsating headaches which are usually accompanied by nausea, vomiting, and hypersensitivity to light. Around 15 in 100 people in the UK suffer from at least one migraine attack every month. Up until quite recently, the only treatment options available for migraines were a variety of pharmaceutical drugs, including over-the counter medications as well as prescription pain-relievers. However, virtually every one of these pharmaceutical drugs, including common OTC medications such as ibuprofen, come with side effects ranging from mild to severe. Evidence is now mounting that cannabis can relieve migraine symptoms safely and effectively, and without any adverse side effects. WHAT ARE MIGRAINES AND WHAT CAUSES THEM? People who suffer from migraines experience headaches that can at times be debilitatingly painful. Along with the headaches themselves come increased sensitivity to light and sound, as well as nausea with vomiting. Migraines can also result in disorientation and problems with coordination. In very severe, although rare, cases, a migraine attack can also cause temporary paralysis or loss of consciousness. Most of the time, symptoms last for several hours, although they can last days in some instances. For those who suffer from migraines, the condition can often severely impair their quality of life. Despite migraines being quite common, science knows surprisingly little about the exact causes of the condition. The common assumption today is that they are brought on by a variety of physiological and environmental triggers. What is understood is that migraines most likely occur somewhere in the brain stem and nervous system, which interacts with the trigeminal nerve, the largest cranial nerve that controls pain sensation, motor control, and pain signalling in the face. Migraine triggers potentially activate neurons in the trigeminal nerve, therefore affecting the dilation of cerebral blood vessels, which in turn activates receptors for pain and inflammation. Some medical experts believe that migraines may also stem from imbalanced levels of serotonin, which is a chemical in the body that plays a role in pain signalling pathways. Moreover, it is possible that some people are more genetically predisposed to the condition than others. HOW DOES CANNABIS WORK IN THE BODY? Located throughout the human body is the endocannabinoid system (ECS). The ECS is a biological system consisting of endocannabinoids (cannabinoids produced by the body that bind to cannabinoid receptors) as well as cannabinoid receptor proteins that are found in the central nervous system and brain. The endocannabinoid system plays an important role in regulating many bodily functions such as pain, digestion, appetite, and mood. Where cannabis comes in is that the phytocannabinoids found in the plant, such as THC and CBD, also bind to (or otherwise influence) these receptors in our body—just like the endocannabinoids. This means that the compounds in cannabis can also influence and regulate bodily functions, including pain control. This is one mechanism by which consuming cannabis is thought to potentially relieve migraine symptoms. But there are additional ways cannabis may help with migraines and associated conditions. Can CBD Treat Migraine Headaches? The field of research for the medicinal uses of cannabis is still rather new. However, with laws becoming more progressive surrounding medical cannabis use, we are now seeing a significant increase in studies on medicinal cannabis and its effects, including how it can possibly help with migraines. A retrospective analysis on the effects of cannabis among migraine sufferers was published in 2016. The researchers looked at 121 adults with the primary diagnosis of migraine headache, who were recommended migraine medicines or medical cannabis by their doctor. The researchers found that medicinal cannabis was able to significantly decrease the number of migraine attacks from 10.4 to 4.6 per month. Thy did acknowledge, however, that further studies would be needed to explore the exact cause-and-effect relationship between migraines and medicinal cannabis. They suggest researching different strains, formulations, and doses of marijuana to better understand its effects on migraine treatment and prevention. In another study published in the Congress of the European Academy of Neurology in 2017, Italian researchers also made a case for using medicinal cannabis to treat and prevent migraines. Examining a group of 48 people with chronic migraines, the researchers administered varied doses of a solution containing THC and CBD, which are the two main active cannabinoids in cannabis. They found that at an oral dose of 200mg, acute migraine pain dropped by 55%, a result similar to that from the study mentioned above. On average, patients reported a 40% reduction in their monthly migraine attacks, and about a 43% reduction in pain intensity. In addition to the decrease in migraine frequency, many patients also mentioned other beneficial effects such as a reduction in muscle pain and stomach aches. Dronabinol is a synthetic form of THC that came to market in the early 1980s under the brand names Marinol and Syndros. It is a legal prescription drug in the US and other countries, initially prescribed for the symptoms of AIDS, but also for other conditions involving chronic pain, such as multiple sclerosis. Hailed as one of the first legal cannabinoid-based medicines, Dronabinol isn’t the miracle cure many had hoped it would be. Some patients say that Dronabinol doesn’t work for them, or that they find it too intense and don’t like that they cannot control the side effects, such as getting “high” from the THC. Many patients have also reported that taking Dronabinol makes them nauseous, dizzy, and drowsy. Besides the rather long list of unwanted side effects, Dronabinol has other, more significant disadvantages for migraine sufferers especially: it can take up to two hours for the drug to take effect. Since migraines can sometimes occur suddenly, having to wait hours for relief is a big drawback. Moreover, the fact that Dronabinol often worsens nausea makes it particularly problematic for sufferers. Lastly, Dronabinol is also very expensive. Compared to the questionable effectiveness and side effects of Dronabinol and other migraine-specific pharmaceuticals, vaporizing (or even smoking) may well be the better option. Vaporizing cannabis does not only help with the headache pain itself, but can also relieve nausea and other related migraine symptoms. The relaxing effect of cannabis is also beneficial since stress is thought to play a role in triggering migraines. WHICH CANNABIS STRAINS CAN HELP EASE MIGRAINES AND HEADACHES? These days, medicinal cannabis users, and recreational aficionados for that matter, can choose from the many different cannabis strains available. Not only do these strains vary in taste and morphology, they also contain different concentrations of cannabinoids and terpenes. Here is a list of cannabis strains with the potential to help you with migraine symptoms. White Widow, named for her beautiful white coat of sparkling trichomes, is one of the most legendary cannabis strains around the world. Many consider this balanced 50/50 indica/sativa hybrid to be one of the best and most consistent cultivars to grow and smoke. She delivers a phenomenally powerful, almost psychedelic high that is cerebral but also incredibly relaxing. Her flavour is fresh and clean, with notes of pine and hints of citrus. With 19% THC, White Widow can be a good choice to soothe an oncoming migraine. OG Kush is a classic strain that’s still a favourite among many cannabis users. Devout fans love the strain for its very intense smoke with the typical OG dankness and slight citrus kick. But of everything, what people love most about this 75% indica is her immense potency. Her effect is extremely relaxing on the body and the mind. This makes the iconic West Coast strain also a favourite among medicinal users looking to banish the varied physiological symptoms of migraines. The popular Chocolate Haze is an almost pure (95%) sativa that’s perfect for all those who suffer from conditions such as arthritis, muscle pain, stress, and migraines. Her effect is extremely powerful yet pleasantly uplifting and cerebral. Her sunny and upbeat high make Chocolate Haze also a good choice for those looking to boost their mood. She will spoil you with her characteristic chocolate taste that blends with sweet and earthy notes. 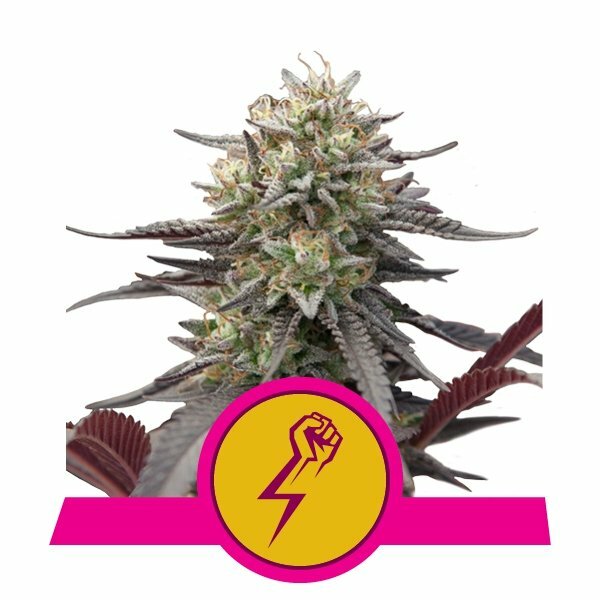 Sour Diesel is one of the most famous strains, and not just for her unique flavour that many cannabis enthusiasts love. Hailing from sunny California, this predominantly sativa hybrid delivers an awesomely potent and very aromatic smoke where she blends trademark fuel notes with herbal and sour flavours. With 19% THC, she delivers a powerful body high that is excellent for soothing headaches and easing stress. Green Punch is a truly special cannabis strain. A mix of Green Crack, a strain known for her uplifting and energetic effect, and Purple Punch, massively potent in its own right, Green Punch is a very relaxing indica heavy-hitter. The combo of these two strains makes for an awesome effect. You will feel motivated and energised while she will relax your body from head to toe. 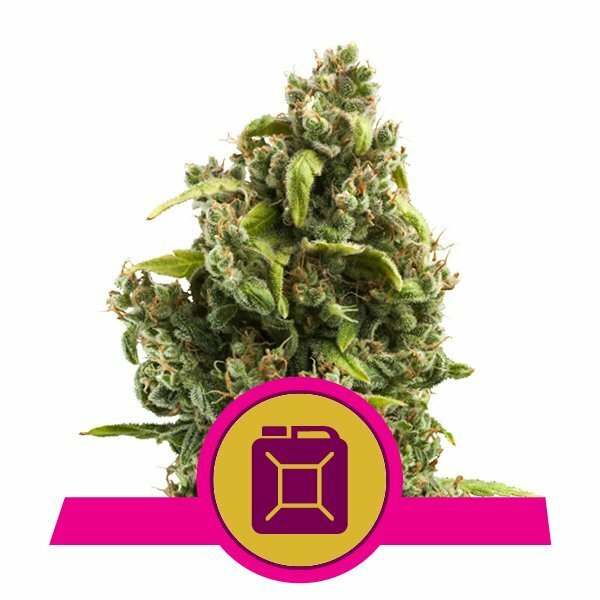 With her powerful effect (she measures up to 20% THC), this 60% indica is an ideal choice for medicinal users who want a flexible strain to dose throughout the day. Can CBD Help With Inflammation? How Does Cannabis Affect Bipolar Disorder?